Note: Median weekly earnings for lawyers over the period from 2000 to 2010. Current Population Survey’s Household Data, detailed by occupation (US Bureau of Labor Statistics). In addition, as is common in other high-skilled professions, lawyers’ performance assessments – and thus decisions about their earnings and promotions – are based on annual performance measures. But unlike many other high-skilled professions, the legal profession assesses performance using two measures that are widely used and comparable across law firms: the annual number of hours billed to clients; and the annual amount of new client revenue generated. These measures not only help to determine the end-of-year bonus (or performance-related pay), but they also play an important role in career progression, notably in determining who ‘makes partner’ within the firm, progressing to a more senior position. Using data on a representative cohort of young lawyers in the United States who graduated from law school in 2000, we study gender gaps in hours worked, performance, earnings and promotion to partner. Simple descriptive analysis shows that male lawyers bill 10% more hours to clients and bring in more than twice as much new business than female lawyers. Given that higher performance translates into higher (short- and long-run) revenue for the law firms, workers are likely to be compensated for their efforts. The compensation may be through higher wages or bonuses, promotion or recognition in other relevant forms. While it is crucial to understand the link between the performance gaps and compensation, it is also important – especially from a policy perspective – to explore why there are such gender differences in billable hours and business generation among these young and highly skilled lawyers. We focus on a generation of lawyers that has experienced virtual gender equality in law school admissions and no prominent gender differences in law school performance. 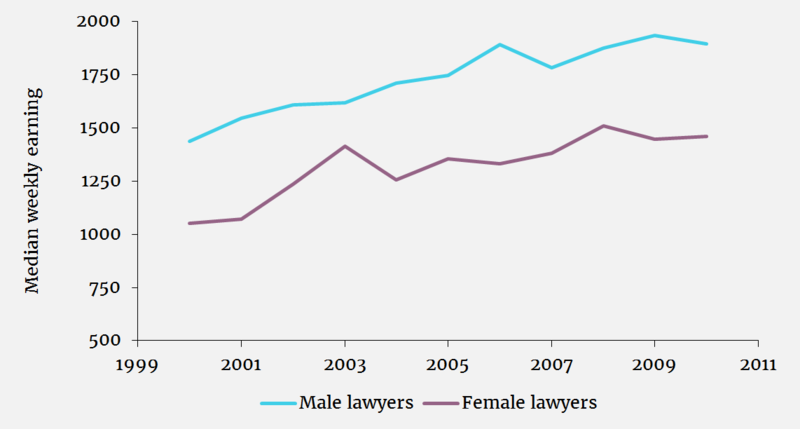 Female lawyers now account for approximately 50% of law school graduates; and there is no evidence of prominent gender differences in such measures of performance as the ranking of the law schools they attended or their participation in editorial activities, moot trials or judicial clerkship programmes. To help to isolate the effect of gender in performance on the job, we control for differences in detailed educational variables as well as other individual and firm characteristics. While some of the variables – namely, law school ranking and participation in law journal editorial activities – significantly affect performance, they do not help to explain the gender gap in performance. Nor do we find evidence that gender differences in performance arise because female lawyers with stronger academic performance choose not to work in private law firms. Differences in annual performance could be due to differences in hours worked, differences in the output produced per hour worked or – as we find – a combination of the two. We find that the difference in hours billed is largely explained by the difference in hours worked. In other words, per hour worked, women bill as many hours as men, but client revenue per hour worked is lower for women than men. To assess the overall performance, we combine hours billed with client revenue after converting client revenue into hours billed units worked and we find a gender difference in the ratio of aggregate performance to hours worked. 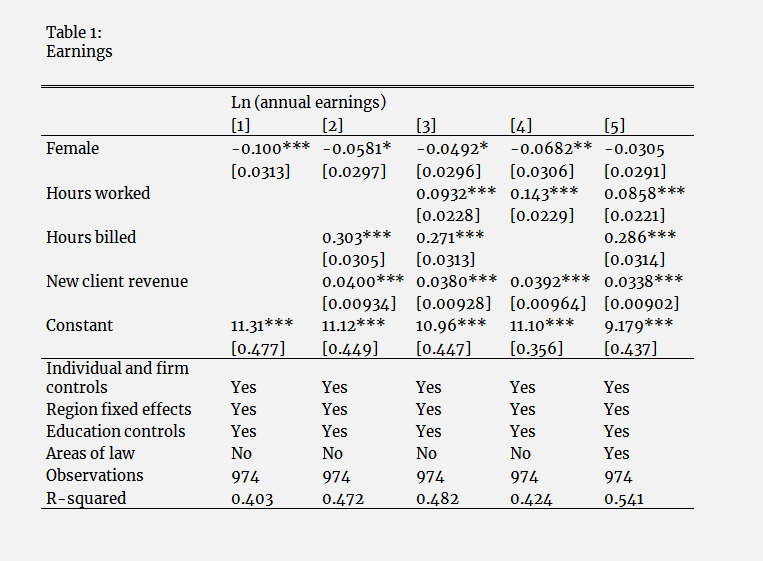 Table 1 shows that performance gaps explain a substantial share of the gender gaps in earnings, measured in ‘log points’. In our data, the raw (unconditioned) earnings gap between male and female lawyers is 18 log points. This corresponds to a 19.7% gap in earnings. Controlling for individual and firm characteristics reduces the gap by almost half, to 10 log points or 10.5%. 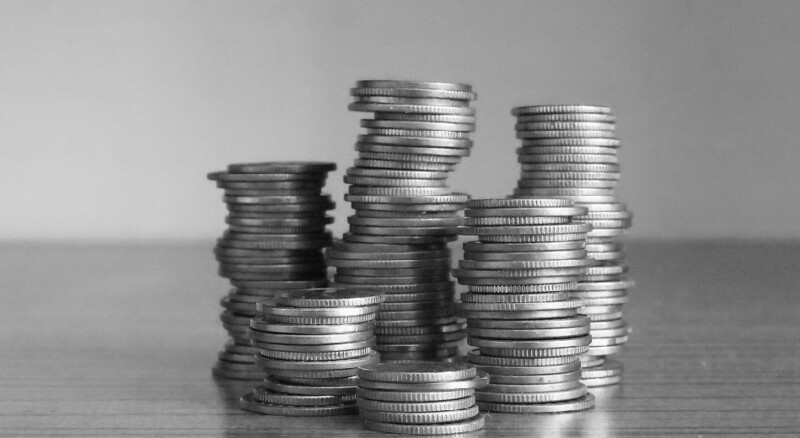 Adding hours billed and client revenue reduces the gap to 5.8 log points (5.9%). We further analyze the link between performance and gender gaps in labour market outcomes, focusing on career advancement. Our measure of career advancement is whether lawyers have achieved the status of partner 12 years after completing law school. We find that male lawyers are approximately 10% more likely to make partner than female lawyers. When we condition on performance measured earlier in lawyers’ careers, it is positively and significantly associated with the likelihood of making partner, explaining approximately 40% of the gap. Moreover, once performance is taken into account, the gender gap in partnership status is no longer statistically significant. Notes: * denotes significance at the 10% level, ** denotes significance at the 5% level, and *** denotes significance at the 1% level. Table 1 reports coefficients and standard errors (in brackets) from a series of regressions of the natural log of annual earnings on the variables listed in the rows for each column. Hours billed is expressed in 1,000s of hou rs. New client revenue is expressed in 100,000s of US dollars. Hours worked is expressed in 1,000s of annual hours worked. An important next step is to understand further the key determinants of the gender gaps in performance. We investigate a number of hypotheses for why female lawyers appear to bill fewer hours and raise less new client revenue than male lawyers. In line with traditional explanations for gender gaps in pay, an important factor is the differential effect of the presence of pre-school age children on female and male lawyers. Having young children results in female lawyers billing fewer hours but does not affect male lawyers. In particular, we find that female lawyers with young children bill approximately 200 fewer hours per year, while male lawyers with young children do not experience a significant decline in the number of hours billed. The presence of young children is not, however, the only key determinant of gender gaps in performance. Another important determinant of the gender performance gap is the difference in desire to be promoted. We find that male lawyers have a stronger desire to make partner than female lawyers. These differences explain a sizable share of the gender difference in bringing in new client revenue, and they continue to hold even after taking account of concerns about potential contemporaneous reverse causality. We predict the desire to make partner using related variables that pre-date most of the lawyers’ time in the legal profession. In contrast, the presence of children does not appear to influence the amount of new client revenue generated. There are gender differences in other dimensions, such as area of specialization, tendency to overbill, time spent networking and time spent working at the weekend. But while these factors influence performance, they do not appear to explain the gender gaps in performance. In addition, possible channels of direct discrimination in law firms – whereby, for example, partners could influence lawyers’ performance by assigning more or fewer cases to junior colleagues – are not strong determinants of performance gaps. We also find no relevant gender differences in the tasks performed, such as the more menial tasks of drafting transactional documents or conducting routine research, and the more appealing or visible tasks of appearing in court or meeting clients. Although we find no evidence that performance gaps are driven by workplace discrimination, the main determinants of performance differences – children and desire for career advancement – might be associated with subtle forms of discrimination, such as compliance with traditional gender roles. Our analysis sheds light on the gender differences in earnings and career progression observed among high-skilled professionals. In addition, gender differences in career aspiration and the differential impact of childrearing on performance highlight the influence of traditional gender roles, even among highly career-minded individuals. Given the similarity in labour force dynamics in other high-skill sectors, our results suggest that performance gaps may also be present in these other high-skill professions. They could explain part of the persistent earnings and career gender gaps among, for example, chief executives, physicians and university professors. Even in professions such as medicine, accounting and pharmacy, which are traditionally viewed as relatively more female-oriented, there are gender differences in salaries and a significant under-representation of women in top career positions (see Flynn et al, 1996; Goldin and Katz, 2012; and Jagsi et al, 2006). This column summarizes ‘Gender Gaps in Performance: Evidence from Young Lawyers’ by Ghazala Azmat (Sciences Po) and Rosa Ferrer (Universitat Pompeu Fabra), published in the Journal of Political Economy in 2017. Azmat, Ghazala and Rosa Ferrer (2017) ‘Gender Gaps in Performance: Evidence from Young Lawyers’, Journal of Political Economy 125(5): 1306-55. Bertrand, Marianne and Kevin Hallock (2001) ‘The Gender Gap in Top Corporate Jobs’, Industrial and Labor Relations Review 55(1): 3-21. Bertrand, Marianne, Claudia Goldin and Lawrence Katz (2010) ‘Dynamics of the Gender Gap for Young Professionals in the Financial and Corporate Sectors’, American Economic Journal: Applied Economics 2: 228-55. Flynn, Pat, John Leeth and ES Levy (1996) ‘The Evolving Gender Mix in Accounting: Implications for the Future of the Profession’, Selections (Winter): 28-39. Goldin, Claudia and Lawrence Katz (2016) ‘The Most Egalitarian of all Professions: Pharmacy and the Evolution of a Family-Friendly Occupation’, Journal of Labor Economics 34(3): 705-46. Jagsi, Reshma, Elizabeth Guancial, Cynthia Cooper Worobey, Lori Henault, Yuchiao Chang, Rebecca Starr, Nancy Tarbell and Elaine Hylek (2006) ‘The ‘Gender Gap’ in Authorship of Academic Medical Literature – A 35-year Perspective’, New England Journal of Medicine 355: 281-87. Lemieux, Thomas, Bentley MacLeod and Daniel Parent (2009) ‘Performance Pay and Wage Inequality’, Quarterly Journal of Economics 124: 1-49. Manning, Alan and Joanna Swaffield (2008) ‘The Gender Gap in Early-career Wage Growth’, Economic Journal 118(530): 983-1024. 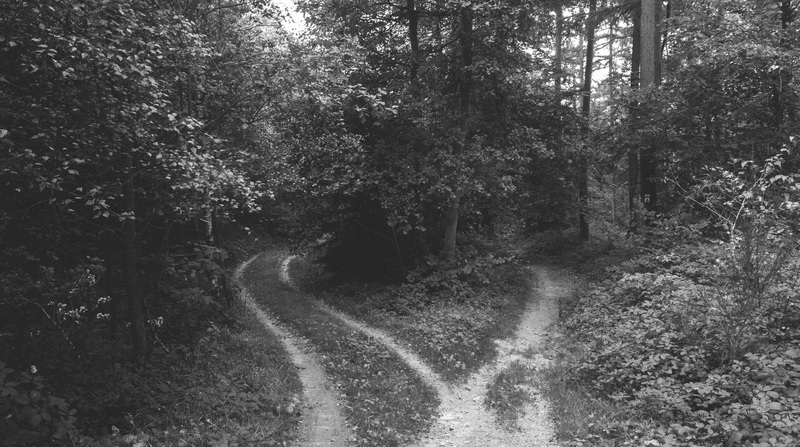 Sandberg, Sheryl (2009) ‘Don’t Leave Before You Leave’, Fortune. Sandberg, Sheryl (2013) Lean In: Women, Work and the Will to Lead, New York: Alfred A. Knopf. Slaughter, Anne Marie (2012) ‘Why Women Still Can’t Have it All’, The Atlantic, July/August. Slaughter, Anne Marie (2015) Unfinished Business: Women, Men, Work, Family, Random House. 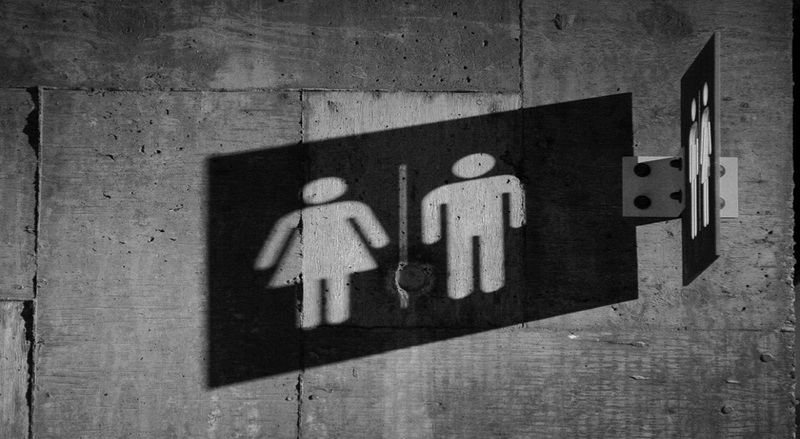 "Men/Women" by Ted Goldring, used under CC by 2.0 / Desaturated from original with colour filter. More than 100 countries have a gender quota, or an effort to increase gender equality and representation, in their political system. Many opponents of gender quotas argue that women elected via quotas are not always the most qualified candidates; the quotas may displace qualified men; and the quotas are not compatible with meritocratic principles and incentives. However, despite the years of debate, exactly how gender quotas affect the competence of elected officials – whether women or men – has rarely been studied.